Everyone has heard the saying breakfast is the most important meal of the day. But, what if you don’t like “breakfast foods”? 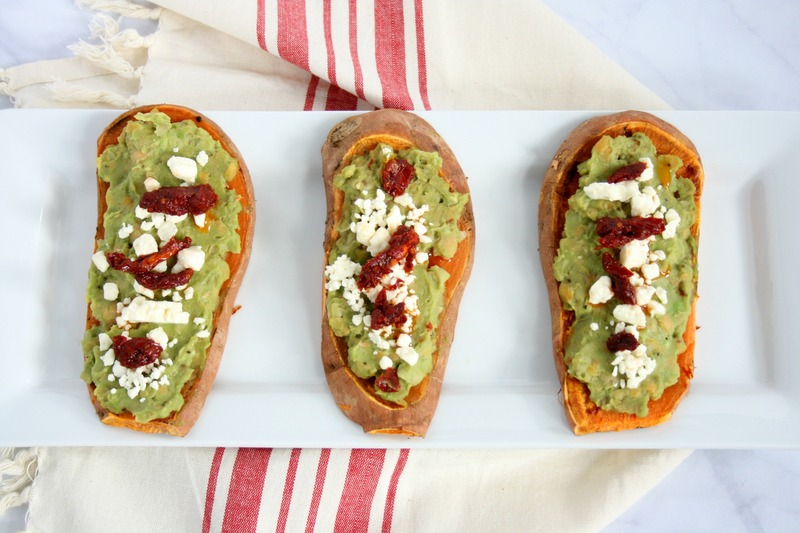 Try my savory high protein sweet potato toast. This nutritious breakfast is packed with protein, healthy fats, vitamins, and minerals. This month’s recipe redux theme is savory breakfast ideas. We have been challenged to show off our healthy take on eating savory/ dinner-inspired dishes for breakfast. My recipe features a secret ingredient to boost protein. Think you know what it is? Comment below! As the queen of all things sweet, coming up with a recipe for this was a challenge. Don’t get me wrong, I love savory foods. But, given the choice between chocolate chips pancakes and Eggs Benedict, I’ll pick the pancakes every time. Unfortunately, I’m not the biggest egg fan- believe me, I’ve tried. Eggs are a great source of vitamins and minerals and can easily boost the protein of any dish. Thankfully, I found a great protein substitute- chickpeas. From blondies, hummus, stir fries, burgers and lettuce wraps you name it, I’ve made it. So why not add it to my toast? Since sweet potato toast has been all the rage, I just had to use one as the base. 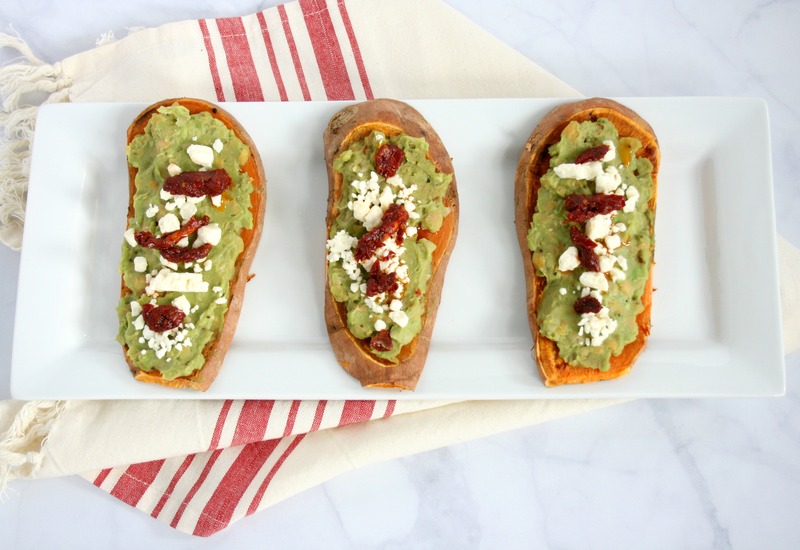 My High Protein Sweet Potato Toast is delicious, easy to make and looks pretty to0! Chickpeas are high in protein, folate, iron and fiber. This protein and fiber combo will fill you up and can help curb hunger cravings. Avocados are packed fiber, health fats and nearly 20 vitamins and minerals. These healthy fats and fiber can help reduce cholesterol and decrease your risk for heart disease. Sweet potatoes are rich in fiber and vitamins A and C. Vitamin A promotes eye health while vitamin C helps boost your immune system. This recipe isn’t much of a “recipe”. The trickiest part is slicing your sweet potato. I recommend slicing a sliver off the side to create a flat base then cut the potato in vertical strips. Once this is done, you can start toasting. I used my trusty toaster oven. While the toast is cooking, combine your mashed chick peas and avocado. I promise, you can barely taste the chickpeas! Then top each piece of “toast” with the avocado mash, goat cheese, and sun dried tomatoes. This power packed breakfast is full of vitamins, minerals, plant based protein, and healthy fats. What are some of your favorite super nutritious breakfast recipes? Everyone has heard the saying breakfast is the most important meal of the day. But, what if you don't like "breakfast foods"? 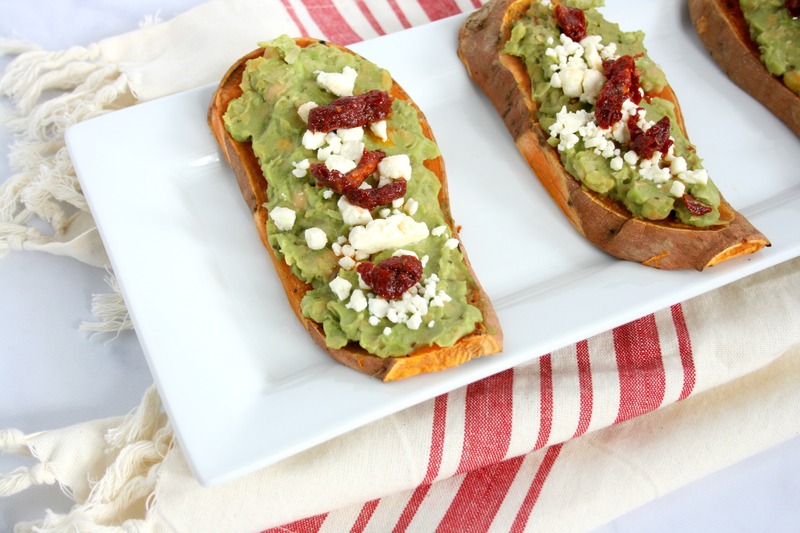 Try my savory high protein sweet potato toast. This nutritious breakfast is packed with protein, healthy fats, vitamins, and minerals. What a great idea to add chickpeas!